Before becoming a parent myself, buying presents for other peoples children was always something I really struggling with. I never ever knew what to buy, what they liked, what they already had and what was age appropriate! I was (and pretty much still am) always the clueless Auntie that is stood in the supermarket sending photos of potential presents to the child’s Mother. Since having Bella I have found it much easier, especially when it comes to buying for little girls, but when it comes to boys, I am always pretty stumped as to what to buy. I haaaate buying kids clothes because it must just be so boring for them and I’m also not a huge fan of giving money or vouchers to children, I much prefer for them to have a proper present to open straight away. So when Wicked Uncle got in touch and asked if I’d like to give their service a go, which claims to solve all those problems, I of course accepted the challenge! The Wicked Uncle website is super user friendly as all of the toys are broken down into different categories. You can choose either gender or just select ‘all’ which is what I did and then if you want to make sure you are choosing something age appropriate then you can also select the child’s age too which I think is such a great feature, especially if you aren’t really sure what you’re looking for. There is also an ‘All boys’ and ‘All girls’ function too if you just want to browse the whole collection. As I was buying for Bella I selected ‘Age 3’ and was super impressed with the huge selection of results that came up. All things that I had never thought of buying for her but things that I knew she definitely would have loved. They have some absolutely gorgeous wooden toys which I’m always a big fan of but in the end I actually settled on a Megasketcher, a Mix and Match game and some Kinetic Sand. The delivery was very quick and Bella was so excited when she saw the box arrive. She was so thrilled that she asked if it was her birthday and if they were her birthday presents, it was the sweetest thing! 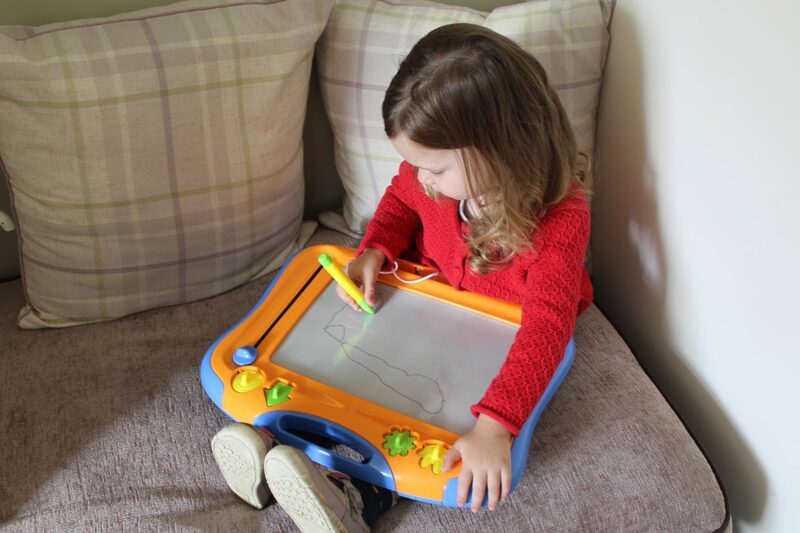 Since we received the gifts from Wicked Uncle Bella has been enjoying playing with them non stop so they are definitely a big hit, especially the Megasketcher which we now seem to cart around with us wherever we go! 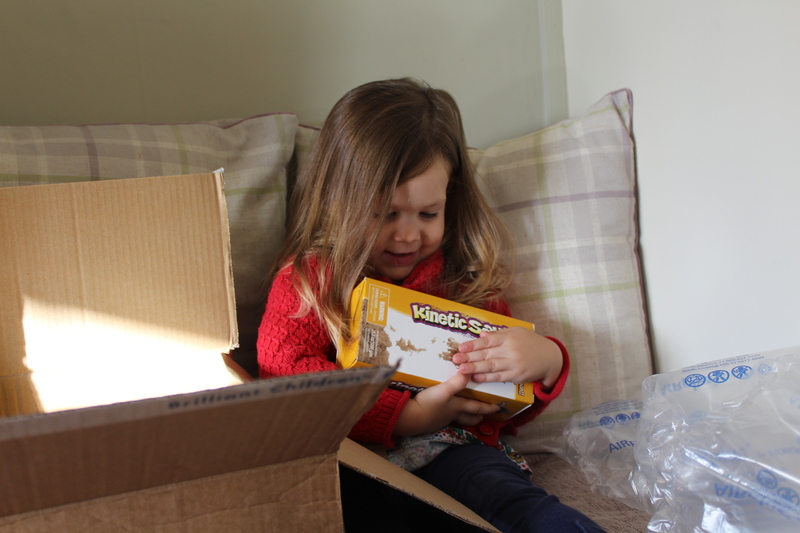 Overall I was super impressed with the service from Wicked Uncle and will be using them again in the future when I’m feeling uninspired for children’s gifts! Have seen this a few times and it looks like such a great idea. I’m useless at choosing gifts too, why does it always feel like such an big decision? !